Full Throttle is a premium brand of high energy water sports products that fuels your passion for on-water adventure and provides you with a safe and trusted water sports experience. Glide skin front panel sheds water and increases warmth. Constructed of durable 2 mm neoprene. 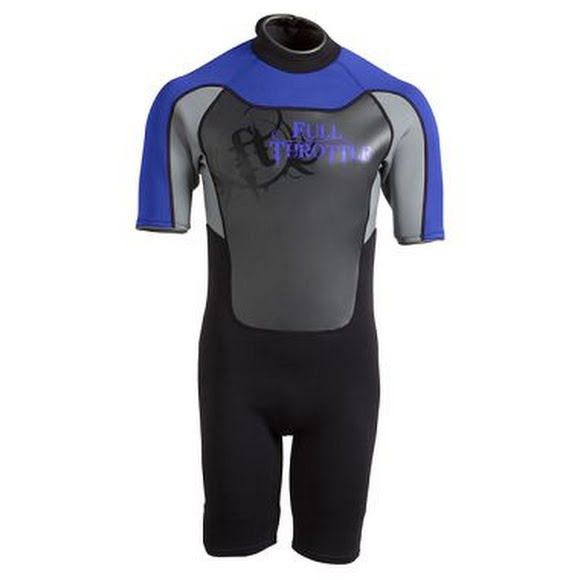 Stretchable neoprene used in the side panels to improve mobility and flexibility. Heavy-duty zipper closure with interior flap to prevent snagging. Bright color on shoulders to increase visibility on the water. Smooth glide skin neoprene on cuffs and neckline for comfort.